Exquisitely designed to appeal to those of us who like something different. 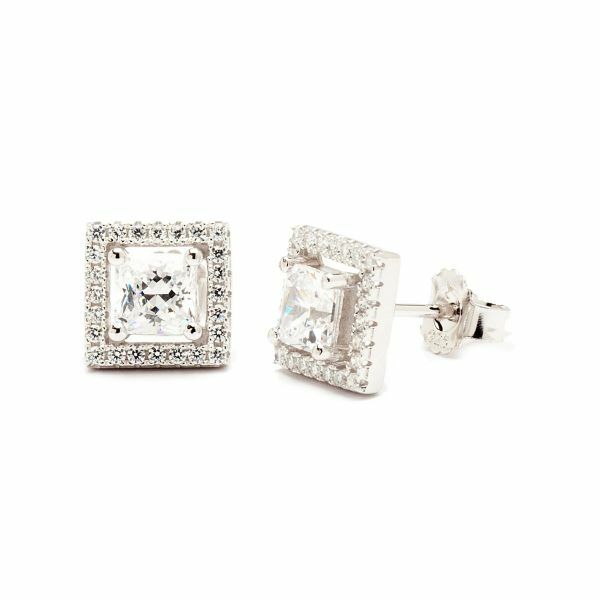 A square cut, white crystal is intricately placed inside a band of smaller white cubic zirconia stones and laid in sterling silver. Perfectly diverse and elegant for you or a friend!